Freeman the Tavern Keeper, played by Jim Custer, demands an explanation from Mrs. Lamson the Governors wife, played by Jenny Fitts-Reynolds, and the Vagabond, played by K.C. Sullivan, during a near-sellout performance of The Tavern at the Durango Melodrama at the Strater Hotel on Wednesday night. 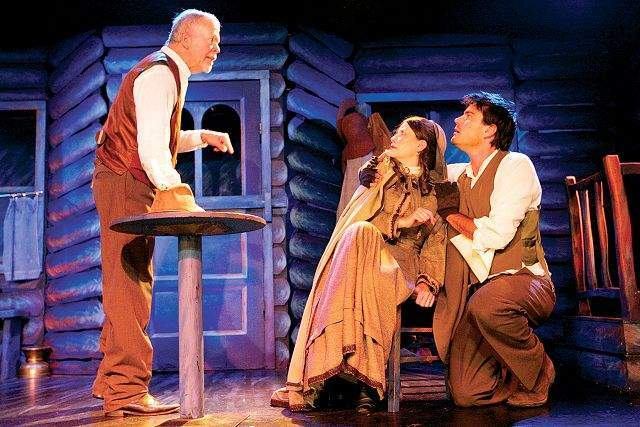 The 2010 Melodrama comes to a close this weekend with the final two shows tonight and Saturday. Tickets are available at the box office, by phone at 375-7160 or online at www.henrystratertheatre.com.